James L. Jamerson was born on 29 January 1941 in Chapel Hill, NC. Jamerson entered the U.S. Air Force in 1963 following graduation from the U.S. Air Force Academy and a subsequent commission as a Second Lieutenant. From May 1963 to August 1964, he was a student in pilot training at Webb AFB, TX. He was then an instructor in the T-38 Talon at Webb until December 1967. In December 1967, he began training in the A-1E Skyraider at Hurlburt Field, FL. In May 1968 he served as an A-1E close air support and search and rescue pilot in the 602nd Air Commando Squadron at Udorn Royal Thai AFB and Nakhom Phanom Royal Thai AFB, Thailand. He was an AT-33 Shooting Star fighter lead-in instructor pilot, and an A-7D Corsair II pilot, in the 354th Tactical Fighter Wing at Myrtle Beach AFB, SC, from June 1969 to August 1971. In August 1971, he became a student at the Air Command and Staff College at Maxwell AFB, AL. After graduation, he spent the next four years as a Staff Officer, Operational Requirements and Contingency Plans Division, Headquarters Pacific Air Forces, Hickam Air Force Base, HI. From August 1976 to June 1981, he was an A-7D Corsair II Aircraft Commander; Chief of Safety; Squadron Operations Officer; Squadron Commander, and Assistant Deputy Commander for Operations, for the 33rd Tactical Fighter Wing, England AFB, LA. He was a student at the Air Force Institute of Technology, Georgetown University, Washington, DC, from June 1981 to August 1982. After graduation, he was assigned as Chief of Pacific, Middle East and Africa Policy Division, Directorate of International Programs, Headquarters U.S. Air Force, Washington, DC. His next assignment was as Vice Commander, 354th Tactical Fighter Wing at Myrtle Beach AFB, SC. From May 1985 to February 1987, he was Commander, 23rd Tactical Fighter Wing, England AFB. He then became the Commander of the 56th Tactical Training Wing at MacDill AFB, FL. From January 1989 to November 1991, he served as Assistant Deputy Chief of Staff for Operations, and later, Deputy Chief of Staff for Operations, Headquarters U.S. Air Forces in Europe at Ramstein Air Base, Germany. Jamerson was then assigned as Assistant Chief of Staff for Operations, Supreme Headquarters Allied Powers Europe in Mons, Belgium. In August 1992, Lieutenant General Jamerson was back at Ramstein AB as Vice Commander-in-Chief, Headquarters U.S. Air Forces in Europe. For the next year, he was Commander of the 12th Air Force and U.S. Southern Command Air Forces at Davis-Monthan AFB, AZ. 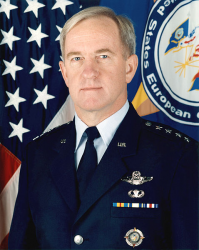 On 1 September 1994, Jamerson was promoted to the four-star rank of General and became Commander-in-Chief, U.S. Air Forces in Europe (CINCUSAFE) and Commander, Allied Air Forces Central Europe (COMAIRCENT). From July 1995 until his retirement, his assignment was as Deputy Commander-in-Chief, U.S. European Command (DCINCEUR), Stuttgart-Vaihingen, Germany. General Jamerson retired from the Air Force on 1 September 1998. During his service, he became a Command Pilot with over 5,000 flying hours; he was also a Parachutist. On 18 November 1995, General Jamerson was inducted into the Order of the Sword. The Order of the Sword is an honor awarded within the U.S. Air Force. 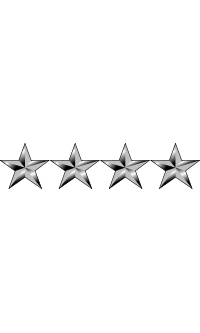 It is defined as a "special program where noncommisioned officers of a command recognize individuals they hold in high esteem and wish to honor. Those selected for induction are usually honored during a formal ceremony at a dining-in." Currently, he is a member of the National Security Advisory Council.